Whether you’re trying to win the girl, get a job promotion, or get new clients, it’s critical that you wrap your head around the idea that you are a marketer. Today, I’m going to share with you why this mindset is so important, some of the pitfalls we should avoid, and some very simple strategies you can implement to help you get more in your life. I know there’s a lot of guys who think that they’re not marketers or that somehow this is a shady way of looking at things but I can assure you it’s not. If you have a product (whether it’s you or some service or offering you have), you have an obligation to bring it to the market and share it with the world. If you think that by selling yourself, you’re doing it wrong, you are limiting your potential and the ultimate results you can produce for yourself and others. Why wouldn’t you share yourself and your product with the world? Just because someone told you not to sell? Look, the reality is that “salesmen” make the world go around. Now, there’s the right ways to do it and there’s the wrong ways to do it. If you do it incorrectly, you’re going to end up shooting yourself in the foot. But, if you do it the right way, you’re going to enrich your life and the lives of your clients, employers, or potential spouse and maybe even your children together. I know the slimy used car salesmen and the insurance guys (I know I used to be one) have ruined the notion of sales for a lot of people. But, again, if you do this right, you’re not really selling at all. You’re simply giving people exactly what they want. That’s a good thing. Sales, promotion, and marketing are a noble calling. So, let’s talk about some simple strategies and mindsets you can use to promote yourself and your products more effectively. Most of the guys that give sales a bad rap, do so because they’re so focused on what’s in it for themselves that they completely overlook what’s it in for the other party. I get questions all the time about how I’ve been able to secure such great podcast guests right out of the gate. Simple, I keep the other party’s interests in mind. If I can find a guest that is releasing a book or a course, and I can help promote it to my audience, that’s a win for them. Sure, my needs are important too but keeping their interests in mind creates a win-win, not a lose-win. Another question I get all the time is, “How do I ask for a promotion?” If you go into your boss’ office with the expectation or demanding that you “deserve” a raise, you’re not going to get a raise. If, however, you go into your boss’ office and share with them all the wonderful things you’ve done and how giving you a raise will actually improve their bottom line, an employer would be dumb not to.” Again, keep their interests in mind, and you will win for yourself every time. It’s not what you know, it’s who you know is such a cliché statement but, like any cliché statement, it is because it’s true. If you aren’t taking the time to network now, you’re killing your chances of producing results when you need them. If that’s you, it’s too late. Every great opportunity in my life has come because I’m connected with people who have great opportunities. And, I don’t wait until I need something before I nurture my network. If I was ever out of work, I could tap into the network I’ve built and get a job with the snap of my finger. If I was divorced or single and wanted to get into the dating world, I could reach out to my network and line up a few dates. It’s not really all that hard to build a network either. Find people who are thriving in their lives, figure out a way to add value to them (refer to first strategy I shared, remember what’s in it for them), and connect. And, keep connecting. When you can help them, help them. When you can make an introduction for them, make an introduction. This is not about keeping score but people are naturally inclined to help those who have been helpful in the past. I get so many messages from people asking how they can get something from me. Very rare (and memorable) is the person who reaches out to lead with value. I have a friend for example, who got me into the SHOT Show earlier this year. I didn’t know him from Adam at the time but he went out of his way to help me get something I want. As of the release of this podcast, we’re hunting in Texas right now because we both fostered a relationship by leading with value. It’s simple in theory. Now, you’ve got to implement it. 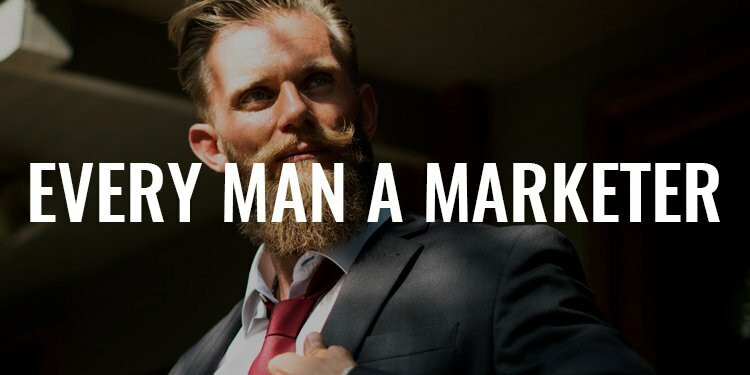 The only way to connect with other people and put yourself in the position to give others what they’re after is to be a man of value. We spend so much time focusing on the external and spend so little time focusing on the internal. Where’s your mind? How’s your health? How’s your bank account? How’s your relationships? The more that you can get everything with you figured out, the more valuable you become. The more I learn, the more I get to share. The more experiences I take part in, the more interesting I become. The healthier I am, the more energy I have to help others. And, the beauty is that this is like a snowball effect. The more valuable I am to others, the more people I attract to myself. And, the more people I attract, the more other people are attracted. Working on yourself is really a compounding effort. I made this the last bullet point today because, if there’s one underlying theme to the work we’re doing here, it’s to focus on what you can do and become the best possible version of yourself. Sure, there are some strategies you can learn about marketing and sales but for the most part, if you take care of you, a lot of this other stuff falls into place. Meditate, exercise, read, have conversation with interesting people, make connections, do interesting stuff. These are all ways to lift yourself up and, in turn, lift others up. At the end of the day, we’d all do well as men to remember that we are marketers –of our products, of our services, and of ourselves. Remember, always frame your interactions with a mindset towards what’s in it for others, build your network before you need it, and be valuable yourself. Gents, I’ve got to throw a plug in for our exclusive brotherhood because we are teaching these exact strategies. I’m amazed at the caliber of men inside the Council. We’re learning, we’re growing, we’re challenging each other, and we’re building a powerful band of men who are helping us achieve more.